It’s not exactly a secret that black folks are disproportionately affected by marijuana convictions. 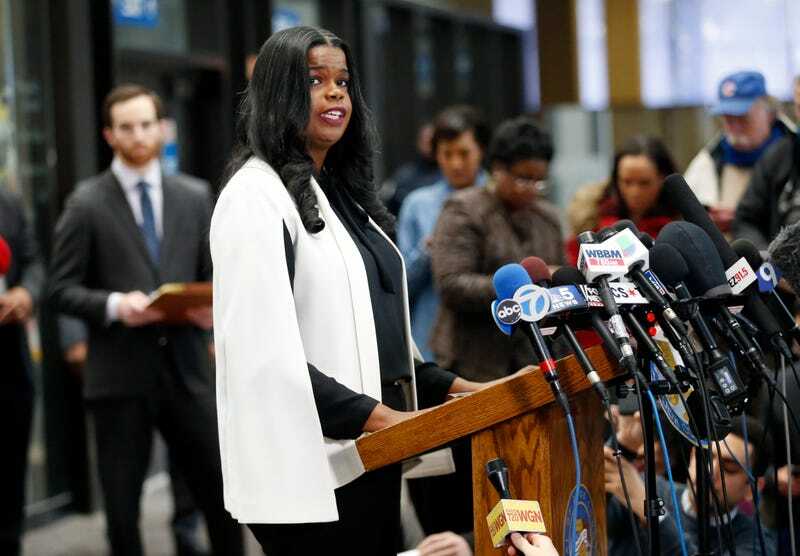 But Chicago prosecutor Kim Foxx has big plans to right an egregious wrong. The Chicago Sun-Times reports that Foxx has big plans to erase the pot-related charges of thousands of Chicago residents. Which sounds all well and good, but how exactly will she go about pulling this off? In February, the San Francisco District Attorney’s office dismissed 8,132 convictions dating back to 1975 with the help of Code for America—which used a computer algorithm to identify cases that were cleared for dismissal after recreational marijuana was legalized in California in 2016. “The question is, how far back can we go? How far back does the data go — which will give us what our universe looks like? But we’re in the process of figuring that out,” Foxx said. She also intends to work with state officials to determine if her office can file petitions for expungement on behalf of those with minor pot convictions. The state’s attorney’s office and Code for America have yet to sign a formal agreement, but Code for America spokeswoman Maria Buczkowski confirmed the nonprofit is in talks with the state’s attorney’s office. Considering that black folks are arrested at four times the rate of our white counterparts, this is clearly a step in the right direction.